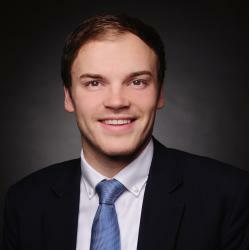 Patrick is a Master of Finance student who is working part-time at Commerzbank and plays Handball in the 3. German League. As Frankfurt School of Finance and Management student I got the chance to be part of the conference “Gesamtbanksteuerung 2018” at our new campus. Besides the great networking possibilities, which were used by the guests as well as the speakers, I want to focus more deeply on the top-class speakers and their views and presentations. After some snacks and warm welcome words, the conference started with a regulatory standpoint given by a director of BaFin. One quote attracted my attention extraordinarily. He stated that the banking sector moves from “banking is people” to “banking is technology”. My first thoughts were that in the time of machine learning and artificial intelligence this realization might not really be up-to-date. This impression was confirmed during the speeches of the participants from the industry. The following slot was held by the CFO of DZ Bank. He focused mainly on the weakness of the European and especially the German banking sector and asked for a more stable outlook of the upcoming regulations, so M&A transactions become more attractive. The CEO of Bayern LB mentioned Amazon and Alibaba as digital pioneers. The only thing preventing them from offering traditional banking services would be the huge regulatory barriers. Moreover, the low interest environment would endanger the German banks, especially in contrast to the Anglo-Saxon banks, which rely more on the investment banking and not on the retail banking. Summarizing he stated that banks become weaker every year and affirmed mergers as well. Both monologues were rhetorically strong and full of many interesting views. Afterwards the CRO of HSBC Germany had a spot. In contrast to his previous speaker, he didn’t use any slides or a specific script which first made me suspicious. A couple minutes into his speech he had the attention of everyone in the brand new Audimax of the FS. He focused on the digital part of his work and mentioned that a trainee is building a decision tree for automatic replies on his e-mail account. One of his most provocative statements was that banks don’t have the mindset for machine learning and that the biggest problem for banks to attract high potential students is that the bosses might not understand what their young talents actually do. The last spot in the morning was reserved for the CRO of Commerzbank, who based his talk on 5 wishes to the regulators. The key message was that supervisors should react faster on innovations in the banking sector. After the lunch the audience had the chance to visit one of two talks about model risk management or the stress tests 2018 of ECB and EBA. I visited the latter one, which was more technical than the presentations in the morning. To sum up the conference, the talks in the morning were highly interesting and allowed a deep insight into what German banks are worried about, also that there is a huge difference between the regulators and banks. The main question that comes to my mind is: are regulators slowing the pace of digitalization for the banks and can this cause a mid to long-term disadvantage for banks?